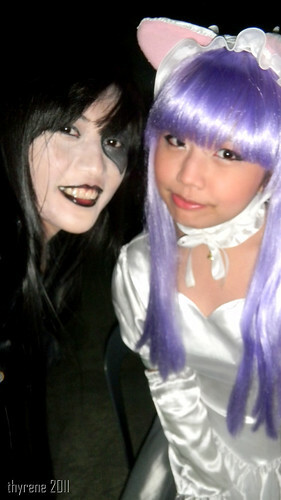 It’s been very busy these last couple of days and I am still preparing my costume for Toycon 2011. 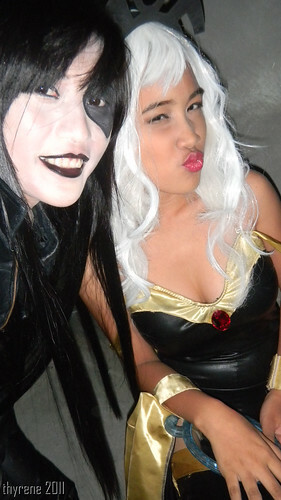 Last Saturday, my team-mates in The Philippines’ X-MEN Cosplay Team assigned Anna and I to attend the Cyberzone’s Women of Cosplay 2011. Cyberzone gave our team 5 slots to represent our group, but unfortunately, only Anna a.k.a. Storm and I are available. There’s 2 schedules for our team last Saturday, first the Toycon Presscon at Eurotel Function Room, Pedro Gil, Manila and 2nd the Women of Cosplay 2011. I woke up around 6:00am in the morning and left around 7:00am. I arrived at the mall around 9:45am. I went to the Comfort Room to go pee pee and re-touch my makeup because I am perspiring. There’s a long walk from LRT2-Santolan Station to SM Marikina. A very long foot bridge is connected from the LRT Train to that mall, around 5-10 minutes’ walk depending on how fast you can go. When I came back, they are already rehearsing; I took a couple of shots of the stage while heading towards them. The practice didn’t last long and I wasn’t able to do the rehearsal >.< Then they just briefed Anna and I to help me out. I was so nervous, I honestly felt like I didn’t deserve to be part of it, for me, there are so many Woman Cosplayers out there in PH who are well-known compared to me. I have Cosplayed only few characters. The Event started at 3:00pm and since the practice was over, I just hung-out and walked around the Mall while Anna went to Divisoria to buy a wig. I went to buy soap, extra socks, tissue and water. Then, when I came back there’s a free lunch, oh and btw, they also gave us a free breakfast. The other female Cosplayers and I started to get dressed around 2:00pm. 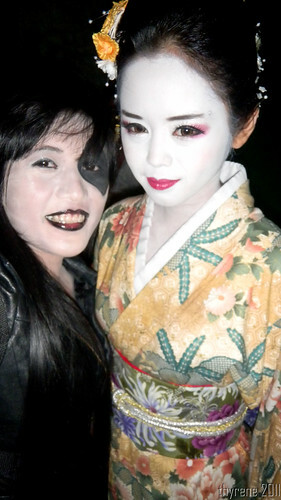 After putting my make up on, I took pictures of the Female Cosplayers with me. I am so nervous but it was fun! The Event started and I am afraid to forget my Catwalk as Anna and I are the first people to walk. But everything goes well and the highlight of the Event is the catwalk of Ms. Alodia Gosiengfiao who is very successful in the Cosplay Industry and the first female Celebrity known because of her Cosplaying in the Philippines.